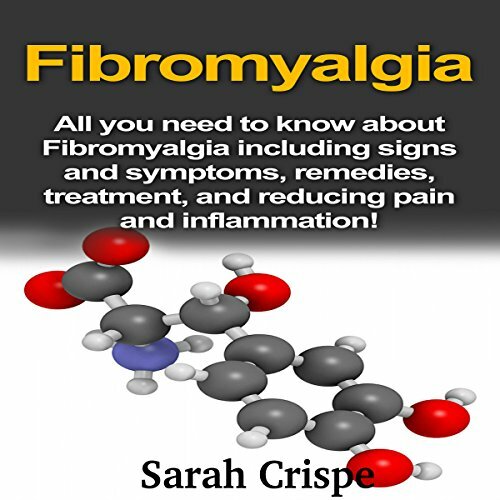 Showing results by author "Sarah Crispe"
All You Need to Know About Fibromyalgia Including Signs and Symptoms, Remedies, Treatment, and Reducing Pain and Inflammation! Fibromyalgia is a highly painful and stressful condition that is often misdiagnosed and misunderstood. This audiobook explains what exactly fibromyalgia is, how it affects the sufferer, the potential causes, and most importantly some ways in which you can get relief. This audiobook covers the signs and symptoms that are common among fibromyalgia sufferers, and provides some strategies to overcome the condition.